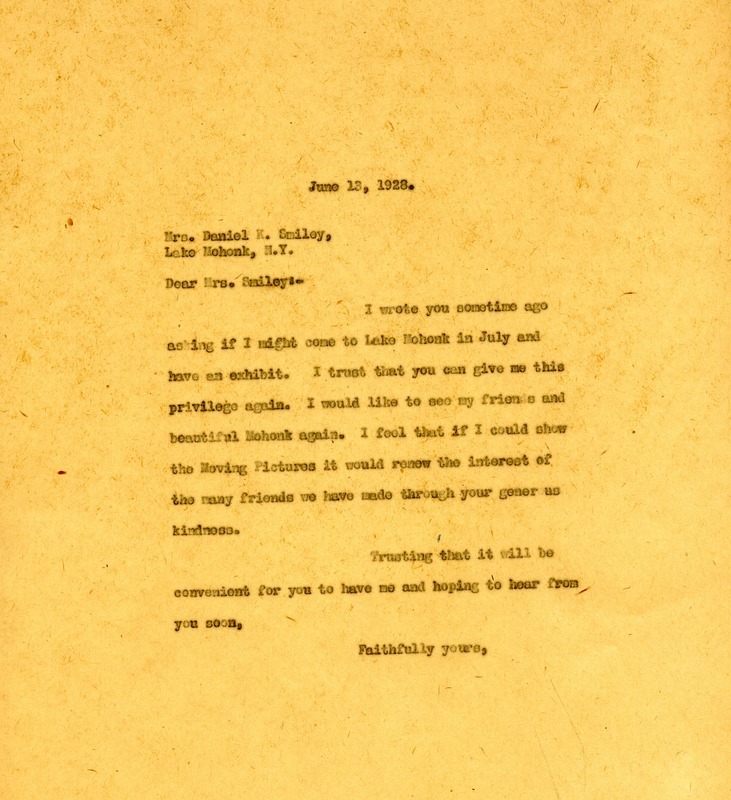 In this letter Miss Berry writes to Mrs. Smiley and asks that she could come to Lake Mohonk and visit, in order to show her exhibit and encourage donations from their wealthy community. Miss Martha Berry, “A letter from Miss Berry to Mrs. Smiley.” Martha Berry Digital Archive. Eds. Schlitz, Stephanie A., Amanda Guidi, et al. Mount Berry: Berry College, 2012. accessed April 22, 2019, https://mbda.berry.edu/items/show/8956.